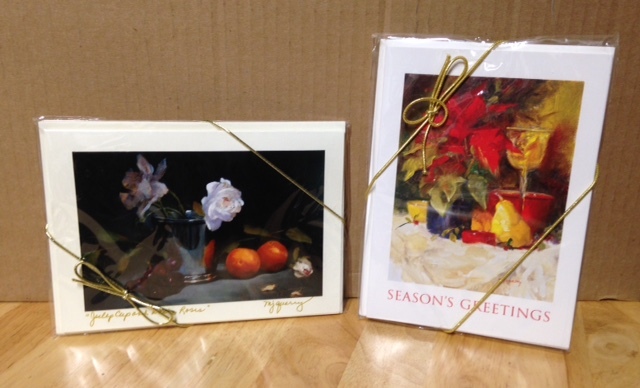 These note cards are hand made from images of my original oil paintings. 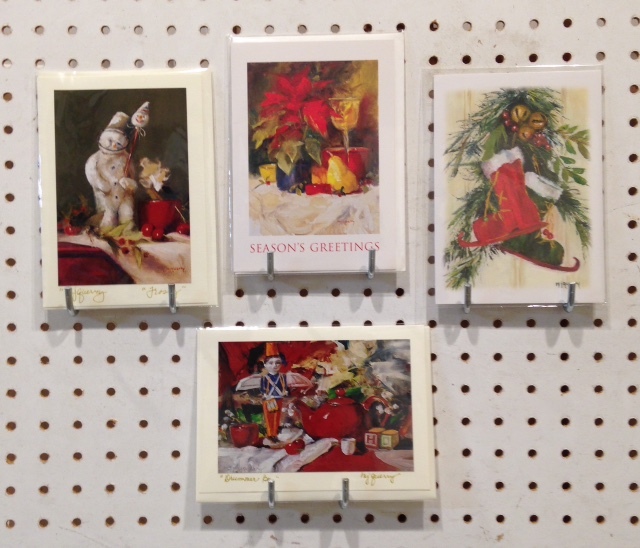 They are 5″ x 7″ and are blank inside with the exception of the Christmas cards which have holiday greetings inside. 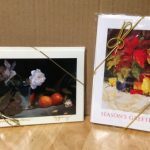 They’re sold in themed packs of 5 cards for $15.00 and you can choose from Still Life, Floral, Landscape, Seascape, Military, Pets and Christmas themes. 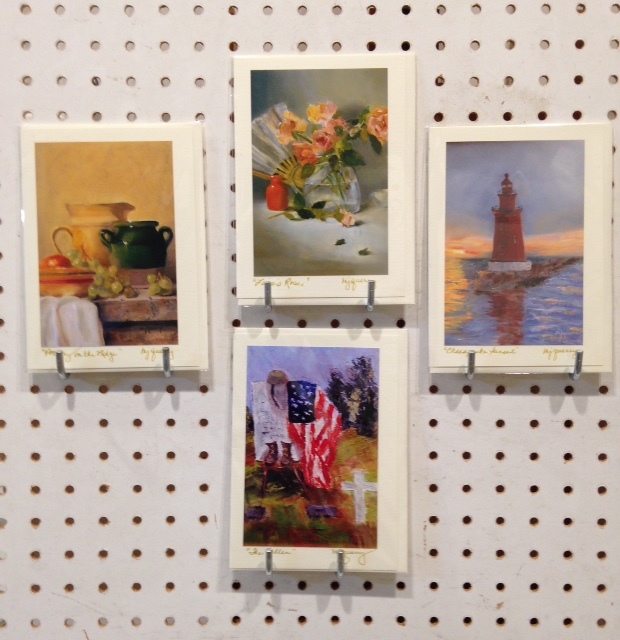 They are a perfect size for placing in a 5″ x 7″ frame! A perfect birthday, anniversary or hostess gift or a gift to yourself just because! 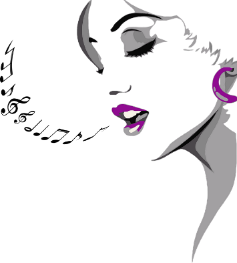 I attended a Healing Odyssey Retreat in April, 2001. The retreat was life-changing. I found my passion for creating art after the Retreat and continue to share my art with the world. As a way of saying thank you to Healing Odyssey, I take every opportunity to "give back" to the organization that has given me so much. 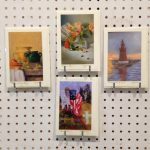 I paint "Memories in Oil" and I enjoy painting all genres: Still Life, Landscape, Portrait, Pets, Military, Children and Christmas themes. 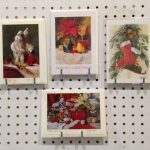 I've created a Christmas painting for each of the past 11 years.